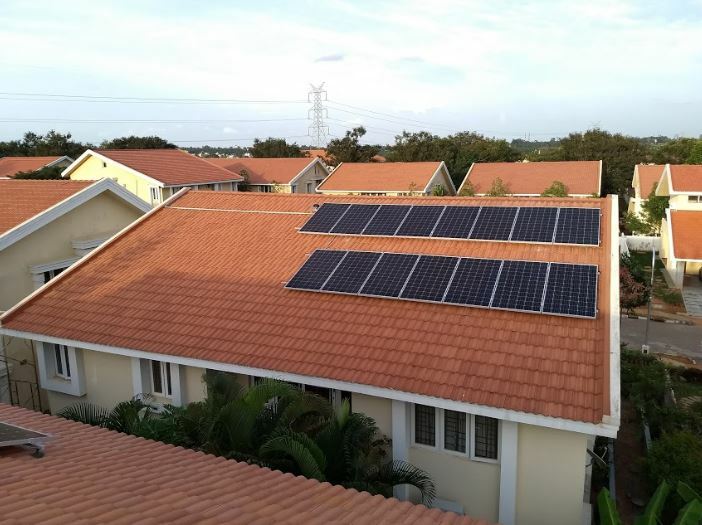 Mr. Akash was one among the 5 people in the community who took a decision to go for solar for the residence in the Retreat community close to the airport. 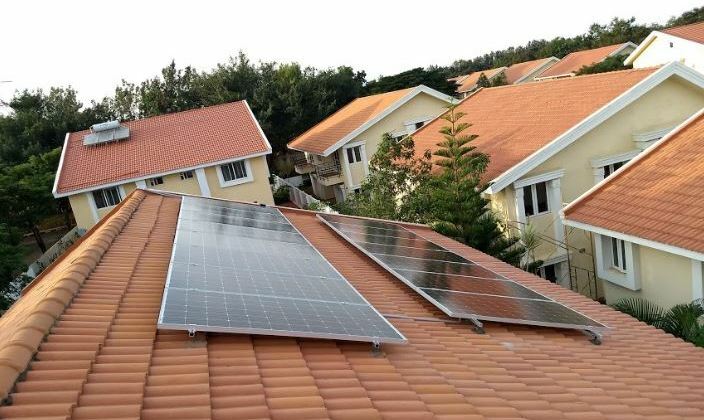 The Retreat is a peaceful community well outside the city busy schedule and the houses are all with slanting tiles. 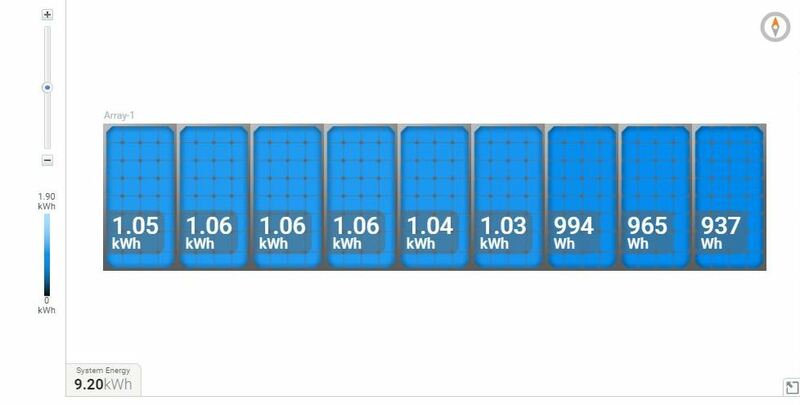 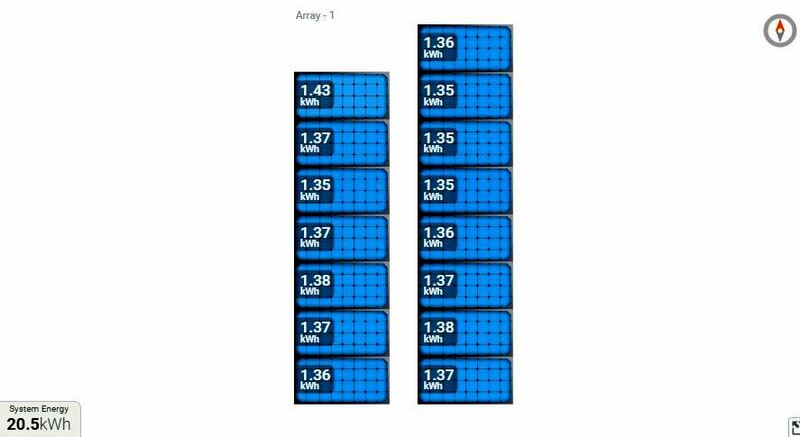 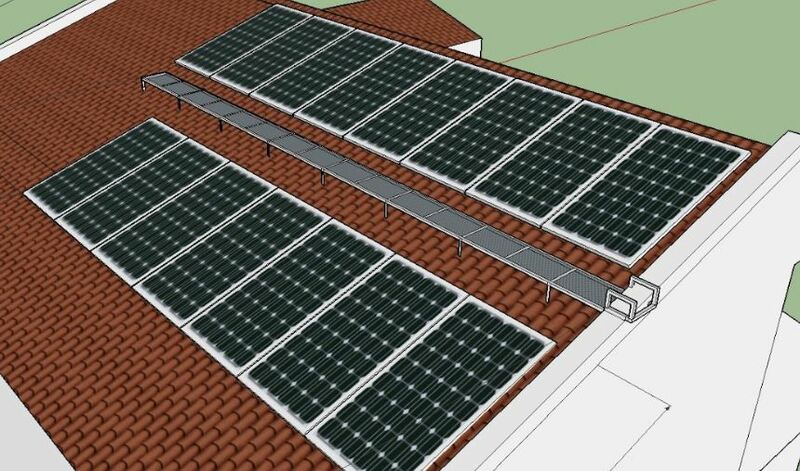 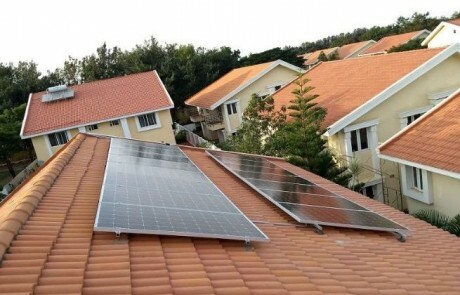 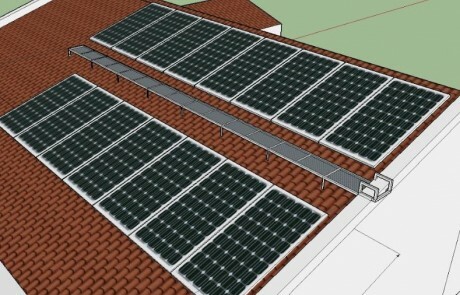 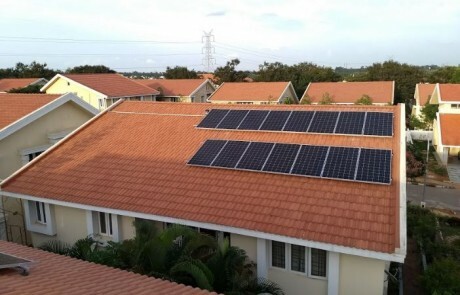 Solar PV system was a very obvious choice as the roof-top was not at all utilised. 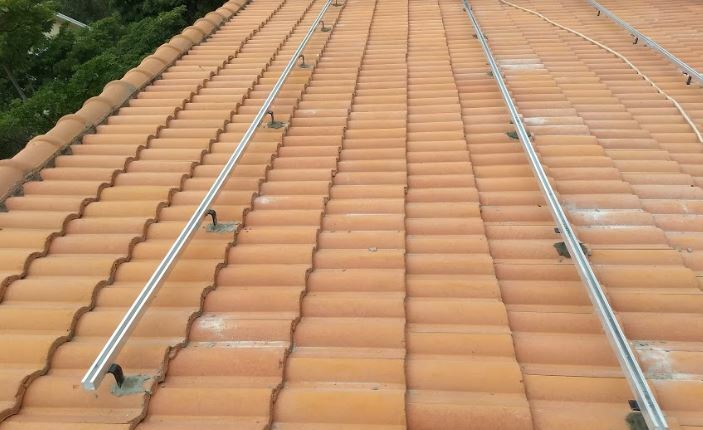 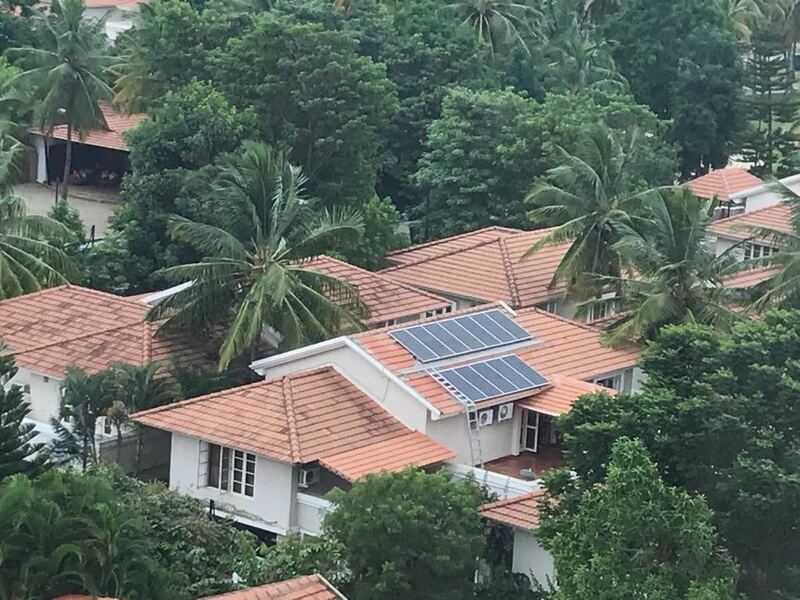 5.1kW solar rooftop system on the tiled roof on his villa at The Retreat community in Bangalore. 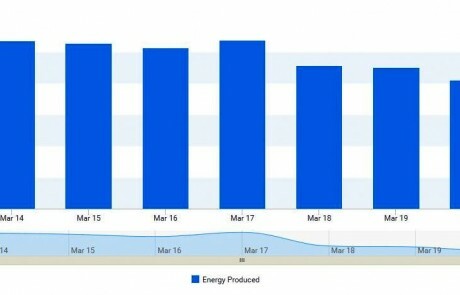 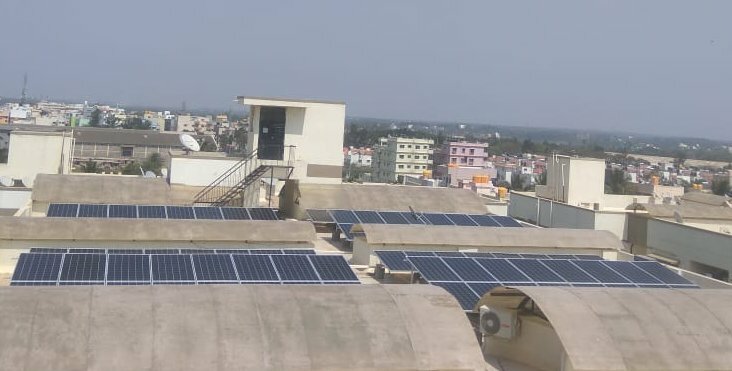 It’s not just saving the electricity bills but also saving the carbon emissions & inspiring the present and future generations too to adopt sustainable practices. 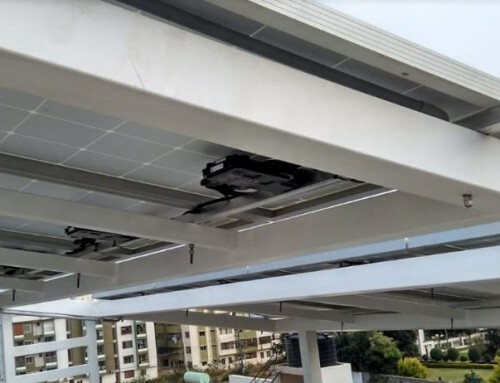 Aluminium structure were used for installation of the system to ensure there was no corrosion. 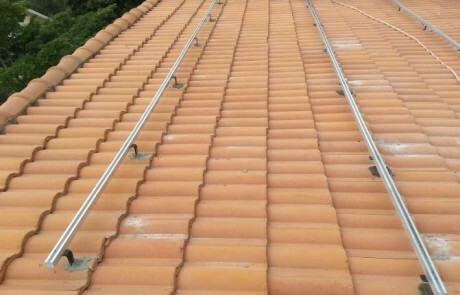 Fixtures were nicely installed without scope for water leaks below the tiles. 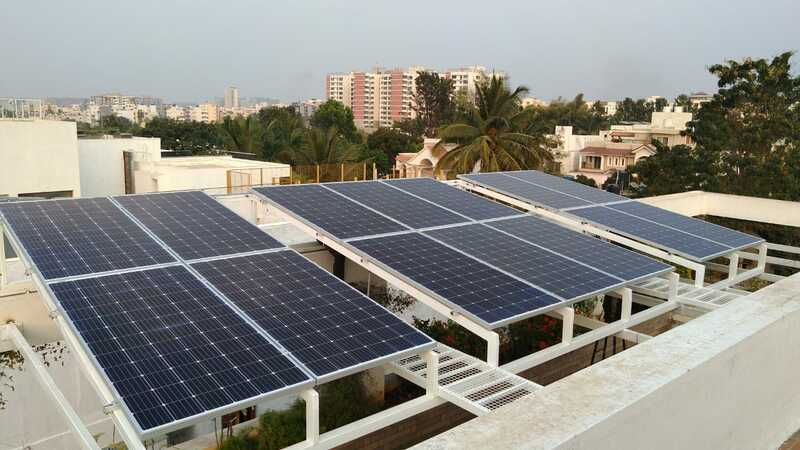 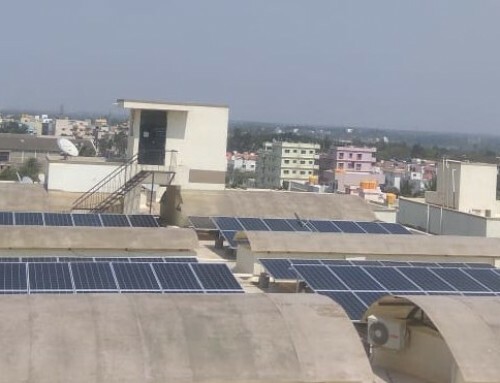 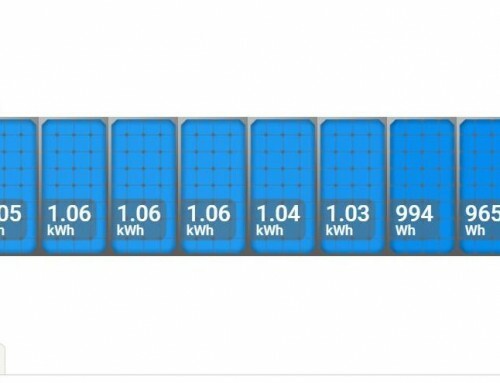 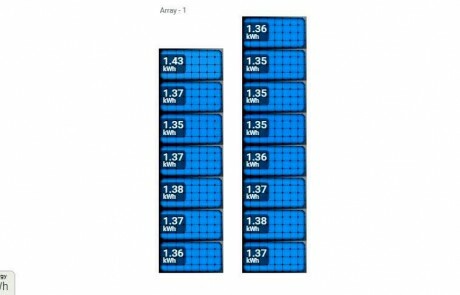 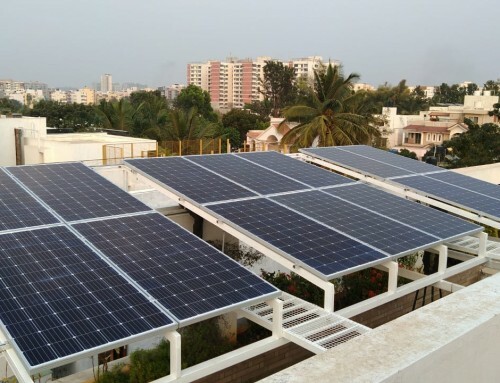 Fifteen modules of each 350Wp from Waree make were used with a combination of M250 microinverters manufactured by Enphase energy were used in this installation making it a 5.1kWp solar rooftop system.